To tell you the truth, I am really amazed with myself right at this moment. Aside from shedding some pounds, I am amazed with how high my EQ is. I used to cheat with my juice cleanses before. 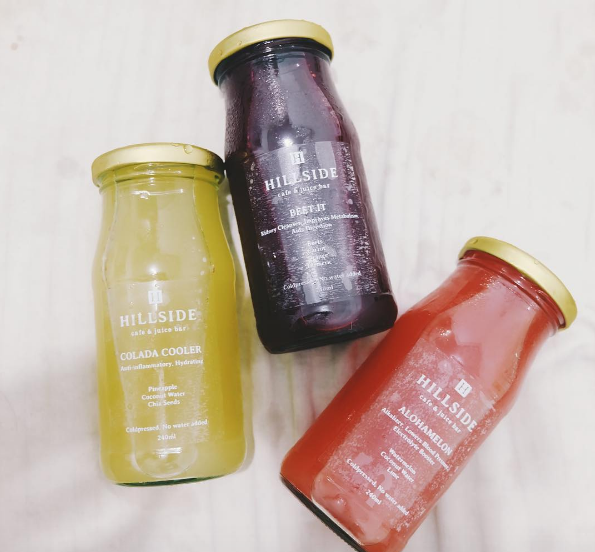 And these are only one-day juice cleanses. Imagine that! I'm really proud, I have gone beyond the 1st day, I even went into 6th when all I planned was just 3 days. I've shed exactly 7 lbs since I started. I also feel that my skin is better, my face doesn't sag too, thanks to Yakson House's Golki Therapy. I first started my juice cleanse by doing my juices at home. It is really cheaper when you do your own juices yourself. The recipes are really easy to find on the internet anyway. And then one day, the husband wanted to work from a cafe, I agreed but I said it had to be a juice bar. Ayaw ko naman "magutom". We worked at Hillside Cafe along Mother Ignacia Ave. There, I realized that I did not need to juice everyday. 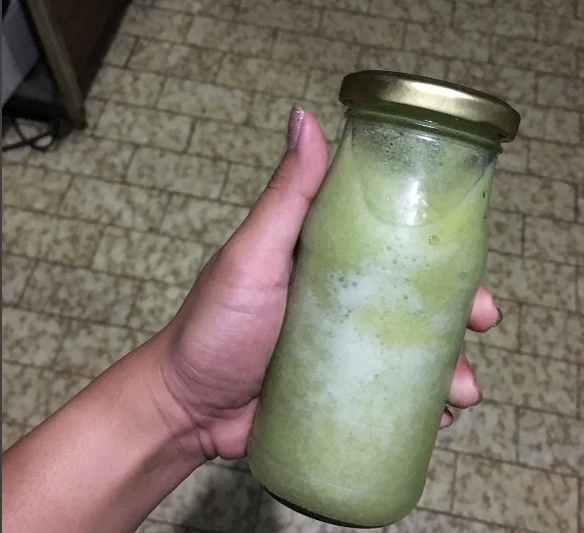 Masyadong matrabaho when you juice everyday and imagine how may times I do that in a day. So from there, I had something for "dine in" and I had to-go juices for the next day. 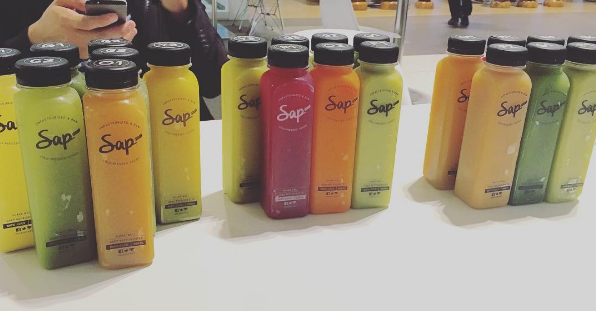 I also tried Sap Juicery's 3 Day Cleanse. It was less of a hassle when I just needed to grab a juice from the fridge rather than preparing all the ingredients to juice it. It's also hassle to wash the juicer from time to time. This is lighter than a glass bottle. Sap Juicery is also manufactured by Fruit Magic. For the 1st and 2nd Day, I felt really normal - even went to the gym and didn't feel anything. The only thing that changed was I was sleeping earlier than before, I'd snoozed around 9pm, that early! The 3rd day, Jon and I went for a walk (when we say walk - yes, we went to catch a pokemon :p), that's the first time I have felt nauseated and asked to just go back home. As soon as we went home, I slept my headache away. It was the only time I have experienced the juicing syndrome, other than that I was energetic and even more mindful than ever. I'm way too happy to have become lighter. Others might say that this is just water weight, but I'm still proud to have been patient through out the cleanse. It doesn't end here, I'm now inspired to eat clean. As soon as I break this tomorrow night, I'm looking forward to healthier and greener meal plans. My end goal is to go back to my normal weight before and this detox aided to fasten things up. It also improved my body clock, I used to wake up at 11am but now I've improved to 7am everyday since I started this juice cleanse.